Introducing our newest Contributing Writer! Yesterday was very exciting and we want to take a moment to thank you for your kind and welcoming comments to our newest team member Stacy Cohen! Today we are equally excited to fill in that last box above by announcing our newest contributing writer. Please join us in also welcoming Melissa Phillips to our 2016 team! We thought it only fitting to introduce Melissa on what is our regular Card Cafe Thursday as Melissa is seriously one of THE BEST when it comes to creating beautiful and inspiring cards. Melissa will be creating the cards for our Card Cafe article in each issue this year. 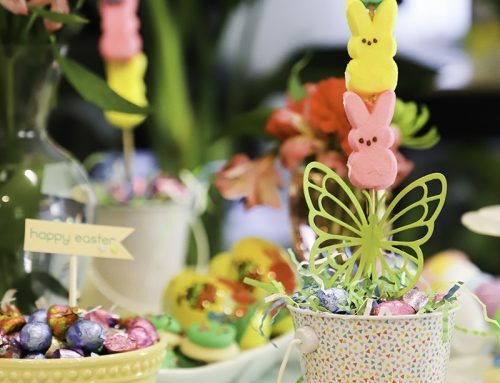 We have worked with this incredibly sweet designer for many years and we would love for you to get to know Melissa a little better today too! Melissa is originally from American Fork, Utah. 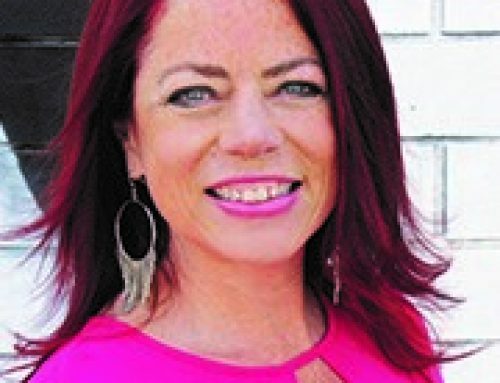 After graduating from Brigham Young University, she and her husband moved to Southern Nevada where they currently live with their daughter and several furry, farm animals. She attributes her creative lifestyle to time spent at her mother’s feet while she sewed, reserving the fabric scraps for Melissa to use in any way she could imagine. 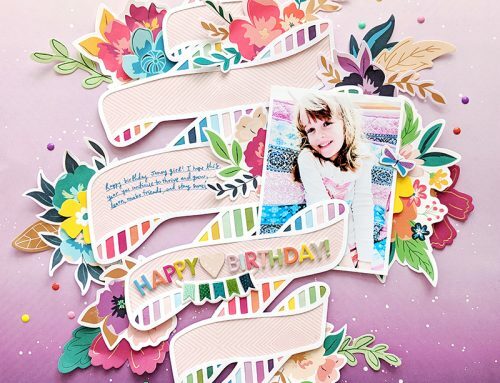 Once Melissa discovered patterned paper, she was hooked and paper-crafting has become a wonderful and rewarding part of her life, and has been since 2007. Melissa enjoys the process of working with her hands to turn ordinary paper into something heartfelt. Her loves are card-making, mini albums, and wrapping up pretty packages. Her work has been published in various magazines and books and she has enjoyed teaching what she loves in a variety of classes and workshops. Melissa has designed for Crate Paper, Melissa Frances, Papertrey Ink, A Flair for Buttons, Freckled Fawn, and many of her favorite manufacturers. Melissa’s work can be seen at: http://lilybeanpaperie.typepad.com. I find that I am always drawn to pink, white/cream, and aqua. With this combination of colors, I can throw in one of these other colors, and they seem to work together wonderfully: Red, gold, kraft, or a pale green. Well, I’m a homebody, through and through, so my ideal day revolves around my home and my two favorite people that I love to have home with me. A morning off and spent sleeping in would most definitely be a start to my ideal day. I love fresh air and sunshine, and crave it each morning, so a walk or run would be included. I’d have to add in some baking, online inspiration, music, and without a doubt, crafting! Lunch at Cafe Rio would be a dream! Too bad it’s 100 miles away or more. If a nice thunderstorm happened to roll in any time during the day, that would really be ideal too. Living in the high desert here, in Southern Nevada, most of our days are full of heat and sunshine, so storms are a welcome treat. Oh, and not to forget, a good, old, John Wayne movie and popcorn with my husband at the end of the day :). Not super exciting, but perfectly, blissful to me. There you have it friends, our brand new 2016 creative team! But with a new team there are some goodbye's too. We wish these amazingly talented ladies all the best in their next creative endeavor – Laura Vegas, Christa Paustenbaugh and photographer Elisha Snow. On behalf of our team and readers, thank you for the inspiring work you created for SCT over the time you were with us! Thank you again to YOU, our fabulous readers, for all your support as we share our news this week. Our 2016 team is ready to creatively inspire you in fresh, new ways this year. And that's not all…fun announcements to come over the coming weeks! Melissa ~ I aboslutely LOVE your style!! Your True Love card is a stunner!!! Looking forward to seeing more of your work!!! Welcome aboard! Lots of details without looking overdone! Love them! LOVE THE LAYERS AND BEAUTIFUL WORK! LOOKING FORWARD TO SEEING LOTS MORE! Awesome! I have been a long time follower of Melissa through her blog,it will nice to see more of now that she is contributing here. 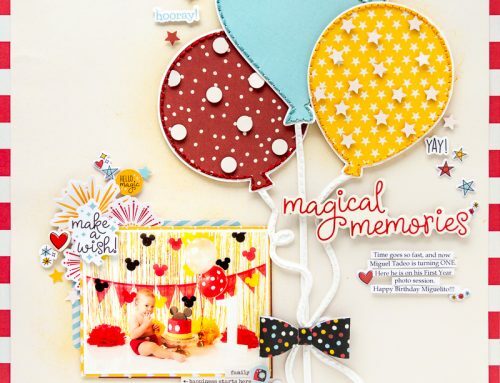 Congratulations Melissa, and awesome snag Scrapbook & Cards today. Not only is Melissa incredibly talented, but she has always been such a loyal, dependable team player which is worth it’s weight in gold! Melissa, I will eagerly look forward to reading your articles on a permanent basis in the magazine. Well deserved my friend! Congrats Melis! 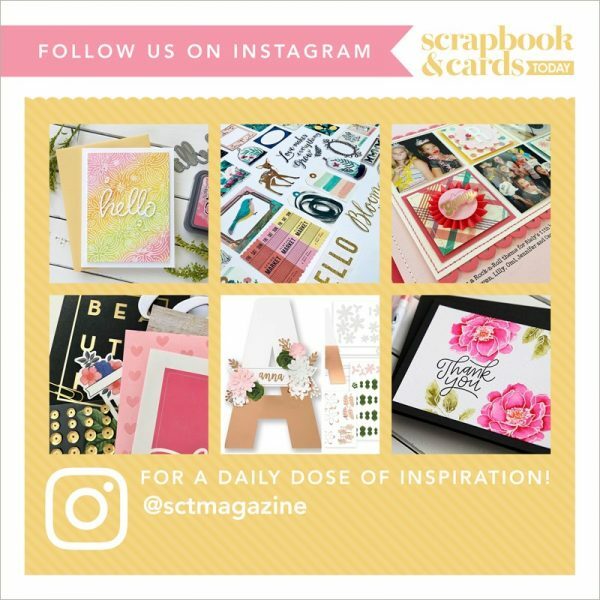 Scrapbook and Cards is lucky to have your creativity on board! Love your work and enjoy your blog! Beautiful cards Melissa! Looking forward to more! Congratulations! My only wish is that you included a couple of “non industry” crafters on your new team. Huge WELCOME Melissa! Looking forward to seeing all of your gorgeous and very stylish projects! I have been inspired by Melissa for years. She has been my favorite card maker since I stared making cards. Congratulations Melissa. Your cards are lovely. Thanks for sharing a little about yourself with us.